Consultants you can trust with your top customers, we are devoted to helping B2B leaders connect in meaningful ways and get tangible results out of better business relationships. 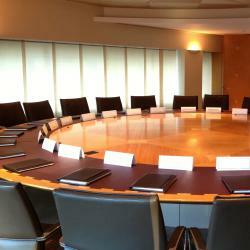 Featured Article | Do You Really Want to Launch a Client Advisory Board? McKinsey’s article, “How to Scale your Digital Disruption,” highlights key leadership and organizational changes that help businesses think about digital as more than a sideshow. We share three major themes we hear from c-suite executives about what challenges keep them from making this shift and driving the change fast enough. Jane Hiscock, President, Farland Group and Alison Orsi, VP of Marketing, IBM will be presenting at the B2B Marketing Summit, London, June 22, 2016. Choosing the phone over email adds value to your relationships with your customers, enriches the customer experience, and increases efficiency. [AS SEEN IN AMEX OPEN FORUM] Customer engagement is more than just putting on events, and when done correctly will make a big difference in retention and growth of your business.